R S Painting Services - Painter/Decorator based in Radstock, Somerset. Hi my name's Robert, I have been in the industry for just over 10 years. 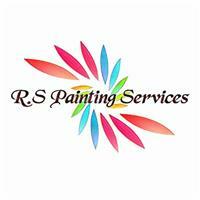 At R.S Painting Services we offer a friendly and reliable service with detailed and precise workmanship at reasonable prices. We cover all aspects of decorating, Interior and Exterior even hand painted kitchens and wooden flooring. Our aim is to deliver 100% customer satisfaction with knowledge, dedication and experience. We are fully insured for customer peace of mind and we go the extra mile to make sure that every customer gets exactly what they want. R.S Painting Services is based in and around Radstock, Bath offering quality interior and exterior painting and decorating services to commercial and residential premises.